The Pittsburgh Penguins left a mighty big brown streak on the ice in Nashville during Saturday night's 5-1 debacle of a loss. The Pens' lone bright spot was yet another goal by Jake "Just Call me Conn" Guentzel, but the game quickly evaporated into a series of disasters as the Penguins' power-play yielded more scoring chances to the Preds than it generated, and Matt Murray's oft discussed....I'm getting ahead of myself. 1) SHOOT THE FREAKING PUCK. While WDVE has made the definitive statement on Pittsburgh's need to forego the fancy-schmancy stuff and SHOOT THE PUCK! SHOOT THE PUCK!, this current iteration of the Penguins is of a different ilk. Specifically, this crop of Penguins players– for whatever reason(s)– is going out of its way in every sense of the phrase to avoid shooting the puck through a crowd of people. Superficially, the reason is a fear of a blocked shot off of the point-defender's shinguards, which typically means a breakaway for the short-handed team, but given the Penguins' puck movement and the fact that Nashville is collapsing toward Pekka Rinne, there's a nominal chance of that. Pekka Rinne barely had to sweat while stymieing the inept Pittsburgh PP1 unit, something that drastically needs to change, and the simplest way is to shoot the puck. Shooting the puck will further collapse the Preds' defense and allow some extra space on the outside to generate the best shooting lane. Merely sitting with the puck along the boards is not going to instill fear in a Beer League netminder, let alone Pekka Rinne. 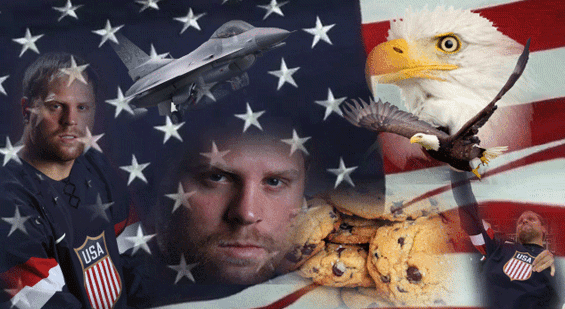 Seriously, no idea who created this image (I tried to find out), but you're legendary. 2) He has developed illusions of grandeur as a power-play pivot instead of the power-play trigger. No matter the reality, the consequence is that Nashville merely has to allow Phil Kessel to take the puck along the wall and take away passing options because Kessel refuses to shoot (again, possibly because he knows he's compromised in that regard). Kessel is an above-average passer, but he lacks the body-shielding, grinding, and stick-handling ability of both Sidney Crosby and Evgeni Malkin, which makes him the easy person to leave open in a non-shooting situation while playing shorthanded against the Penguins. 3) SIDNEY CROSBY AND EVGENI MALKIN NEED TO SHOOT THE PUCK. Note that I said that Sid & Geno need to "shoot" and not necessarily "score" as 87 & 71 firing the vulcanized rubber will cause Nashville's defenders to make some harder decisions against two world-class goal scorers that perpetually prefer to defer (pass) instead of making their own shot. Crosby (no goals in his past 5 games) and Geno (2 goals on 2 shots this series) could also, of course, manage to light the lamp by firing pucks, but passing up primo scoring opportunities is a, well, pun intended and rhetorical statement. An open glove makes this save. Might give up a rebound, sure, but Murray makes the initial save. 4) MATT MURRAY NEEDS TO LET THE PUCK HIT HIS GLOVE INSTEAD OF TRYING TO CATCH IT. It's probably too late to instill a pretty significant change to Murray's game, but suffice it to say that part of the awesomeness that are goalie gloves is that they're essentially a giant fishing net for catching hockey pucks. 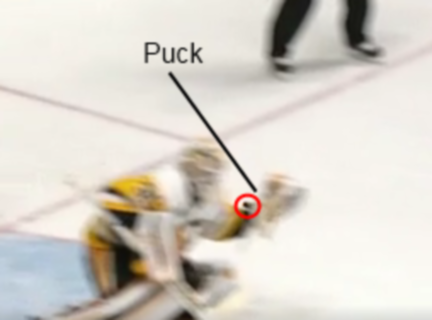 Instead of allowing the puck to hit his glove and then instinctively closing the mitt to trap it inside, Murray is trying to pick pucks out of the air like a pitcher retrieving a throw from the catcher. The result is that Murray is sacrificing his body position (he's reaching forward to catch the puck) and creating a wider avenue to score by closing the mitt vertically. Several goals against Murray have happened in this fashion, where an open glove makes the save (at the very least prevents the puck from going into the net), but a closed glove gives him no chance. Pundits keep saying that Murray is weak on the glove-side, but they never explain why/how. The above is Murray's most glaring weakness, and it's one that won't be solved overnight, but for the Penguins and their fans, it better be fixed by 8:15 tonight. HI THERE! CHIP THE PUCK BEHIND ME, THEN WATCH ME FAIL TO CLEAR THE ZONE/HAND YOU A TURNOVER BECAUSE I CAN'T SKATE AWAY AND THE FIRST PASS OUT OF THE DEFENSIVE ZONE IS NOT MY FORTE! Pairing Hainsey with the up & down Olli Maata has resulted in disaster at times, and in the freaking Stanley Cup Finals, starting a guy whose good play requires both Mother Theresa prayer and Powerball luck is ultimately bad coaching for putting him on the ice in the first place. Yes, I love the Hainsey story as much as you do as much as everyone does, but again, the narrative has to take the backseat to actually winning the darn Stanley Cup, so sit Hainsey and spare me a heart attack.